Do you have a bunch of odd shaped batting pieces laying around? 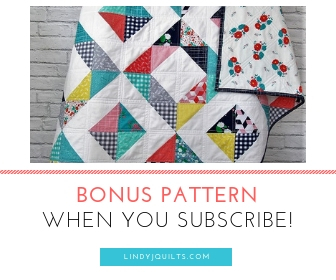 If you’re anything like us over here at Lindy J Quilts, you probably have a big box full of not-quite-big-enough batting left over from all your quilting projects. Today we’re going to show you how to use fusible batting tape so that you can put those batting pieces to good use! Heat Press is a game-changer over here at LJQ. Heat Press will fuse batting pieces together and it’s not crazy expensive. One roll gives you 15 yards! We stumbled upon Heat Press last week when mom and I had to pop into our local Quilting Shop (shout out to Intown Quilters!!). And this little product caught our eye. We decided to give it a whirl on our latest project. For the quilt we’re working on right now, we need batting that’s wider than what we currently have. We always keep a roll of 45″ Warm + Co. batting on hand for baby quilts and 45″ just wasn’t going to cut it this time around. So rather than ordering more batting, we opted to cut 2 pieces of batting and fuse those together with our new fusible batting tape. Since our “point of fusion” was fairly long, we worked with strips about 12″ long. We figured we’d have more control of the tape. Heat Press didn’t come with any instructions, so we felt like we were winging it a bit. We busted out our trusty compact travel iron and tested its heat settings. After making sure it wouldn’t harm the floors or melt the tape, we went for it. The high heat setting worked great and didn’t damage the floors or batting. The tape fused on nicely to the batting and we worked our way down piece by piece. Once we made it all the way down the seam, we gave the batting a light tug to test if the 2 pieces held together (and they did!). We flipped everything over and repeated the steps down the side. Heat Press has a light-weight gauzy feel, so there isn’t added bulk – even though we reinforced both sides with the fusible tape. And Heat Press was easy to use + quick working. We had these 2 pieces put together in less than 10 minutes. So now we have a new quilting tool to add to the arsenal! We’re always looking for quilting gadgets that can help us with saving time, providing accuracy, or utilizing scraps. Heat Press is a welcome addition to our studio! What about you? Have you had any experience fusing batting pieces together? We’ve only tested these fusible batting strips on straight edges and we’re not sure how effective it would be if you try to fuse curvy edges together! So now it’s time to test this new little quilting tool out on our latest quilt! Previous PostMake Your Pinwheels Spin! Next Post Best Press: Get Rid of That Fabric Fold Crease For Good!